On April 14, 2014, Saraya Amos and 56 of her classmates staged a daring escape from Boko Haram jihadists who raided their secondary school in Chibok, northeast Nigeria. Unlike the 219 girls who were spirited away in a convoy of trucks into the darkness, most of them not to be seen again for several years, the 57 were considered the lucky ones. But as Nigeria on Saturday marks the fourth anniversary of the mass abduction that captured world attention, some of the ones that got away are unhappy and feel abandoned. Most of the 106, who have been found or freed as a result of government negotiations with Boko Haram, are now studying at the private American University of Nigeria in Yola, Adamawa state. “We deserve equal treatment and opportunity,” said Amos, who still lives with her parents in Chibok and helps on the family farm. While the former captives have gone back to education at the AUN, Amos and other escapees say they have struggled to finish theirs, despite government pledges of support. High school tuition fees were covered but auxiliary costs such as travel and food have made staying in education impossible, they say. Amos said that has “destroyed” her dream of becoming a lawyer. “We feel extremely bad and abandoned, our future is hanging in the balance because the chance of furthering our education is bleak,” she added. Hadiza Fali, 20, wants to become an agricultural engineer. She said it was painful and frustrating to see that not all the Chibok girls’ fortunes have turned out the same. “I don’t envy my colleagues who are in school, I only feel let down and treated like a second-class citizen. I so much want to continue with my education if given the chance,” she said. Yakubu Nkeki, chairman of the Chibok girls parents association, said students who gained the results to head to university were in limbo and their impoverished parents were unable to help. “It is true the girls are still at home without anything to do because the promise that the government made to them has not been fulfilled,” Nkeki said. Despite global publicity about the kidnapping, the girls’ plight is not unusual in Nigeria’s remote northeast, where access to education was low even before the start of Boko Haram’s bloody insurgency in 2009. According to Nigeria’s Demographic and Health Survey in 2013, just eight per cent of women in the region complete secondary school. Nine years of fighting has equally made it harder for students in impoverished rural areas, as Boko Haram has targeted schools and teachers. 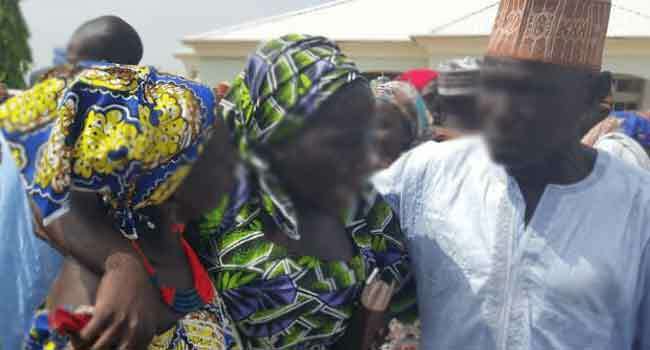 The Borno state government pledged to spend 1.5 million naira ($4,167, 3,400 euros) on each of the girls who escaped their abductors every year until they finished university. Three attended a missionary college in the United States with the help of a Christian charity. Fifty-four others from the Government Girls Secondary School in Chibok were enrolled in two private boarding schools elsewhere in Nigeria. Christians were sent to study in the central city of Jos while Muslim students were taken to the northern city of Katsina. Seventeen girls dropped out because their parents could not afford to pay for food and basic toiletries, such as sanitary napkins. “Surprisingly, the parents of the girls were left to substantially pay for their daughters’ upkeep while in school,” said Ayuba Alamson, a community leader in Chibok. Three of the girls sent to Katsina dropped out because their parents could not raise the 12,000 naira ($33, 27-euro) transport fare for the 730-kilometre (450-mile) trip back to school at the end of holidays. “They found it too difficult to cope and dropped out,” said Yagana Yamane, who wants to be a doctor. Instead of forging a potential career, they are following a familiar path. “One of them has gotten married and the other two are planning their weddings,” said the 18-year-old, who fears marriage may be the only option for her as well.